And this message simply blew up online with over 133,000 retweets, 345,000 likes, and most importantly a ton of encouraging comments with kind words, tips and more stories like this. 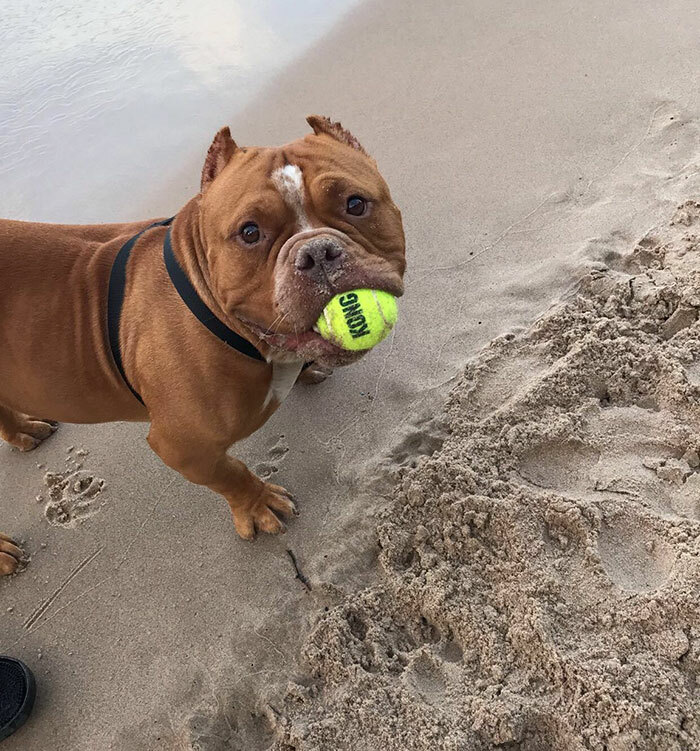 Of course, let’s not discount the star of the whole show – the adorable pit bull named Charlie who’s finally enjoying his life with a loving owner, while also becoming a Twitter symbol for pet adoption. Nice going, Charlie! You can really see how much change love can make. Aww, he looks so happy now. His smile is adorable. (Too bad his ears are cropped.) 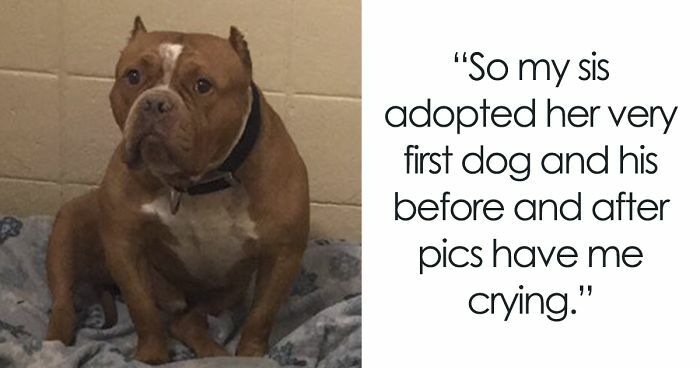 I'm always glad to read a story about a happily adopted animal. 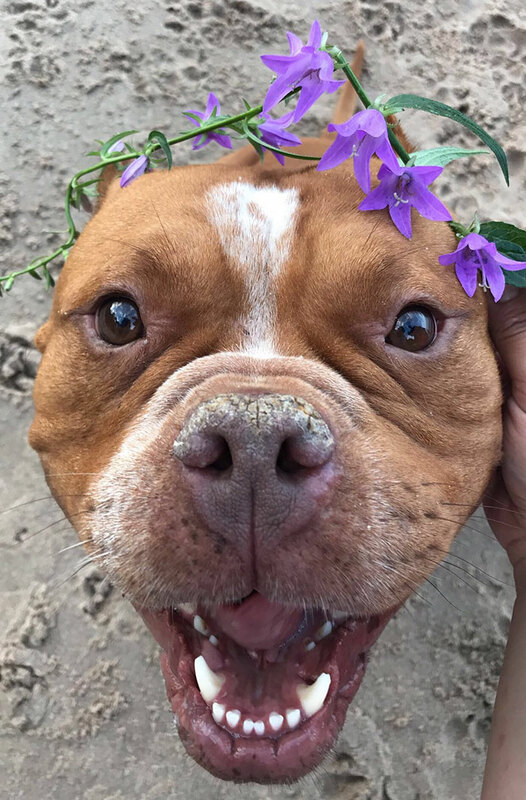 While I disagree with cropping tails and ears and everything else, I think in this case, since it can't be undone, it kinda adds to his cuteness, like "My owners were so mean and they did all dis to me, but my new owner so amazing!" It was done for dog fighting, so that they don't rip the ears off in a fight, being an easy target., Now, most of all it is done for looks. Because people are so vain and stupid that would hurt a dog just so they can be in the standards. Some floppy-eared breeds (I know its common in certain mastiff-type dogs for example) have a tendency to get blood clots in their ears. Often if they have have t be removed more than once the vet will recommend cropping their ears. So yes, ear-cropping is sometimes done for medical reasons as well. 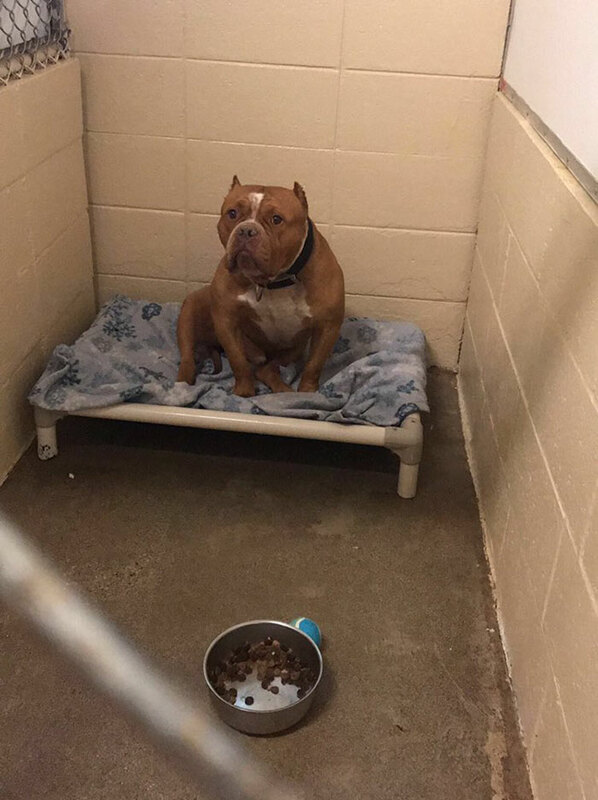 I just think its important to keep in mind not to make snap judgements when we see a dog that has been altered, you can't know the dogs history just from looking. To be fair there are medical reason for docking tails on dogs who have skinny tails. The vet told me that for dogs with whip-like tails with little muscle or fat protecting the bone it is a good idea to prevent future fractures and lacerations from hitting things with their tails. Ears have no excuse though.